Lucy McCann was born in Armidale NSW in 1958 and studied fashion and dress design at The National Art School which gave her the grounding in draftsmanship and design. She won a scholarship to model with June Dally-Watkins and continued to model with the agency while designing clothing and accessories with the fashion design label, Cue. At this time Lucy was asked to design images of Australian themes for sloppy joes and sandshoes, so the study of screen printing was undertaken, also at The National Art School. She has been a teacher of art for 13 years, in Australia, New Zealand and Italy. 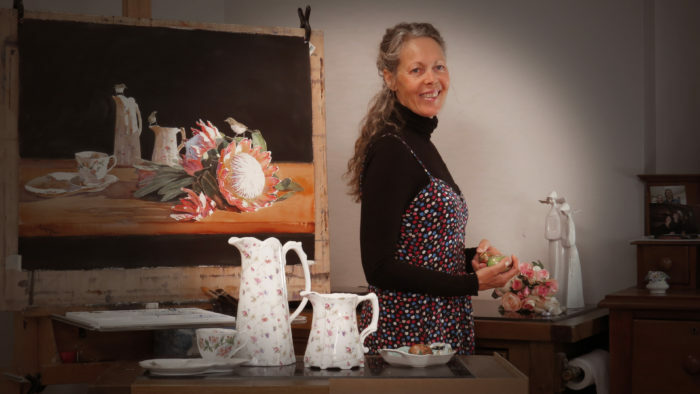 Together with husband Barry McCann, they run McCann Fine Art, in Armidale NSW.